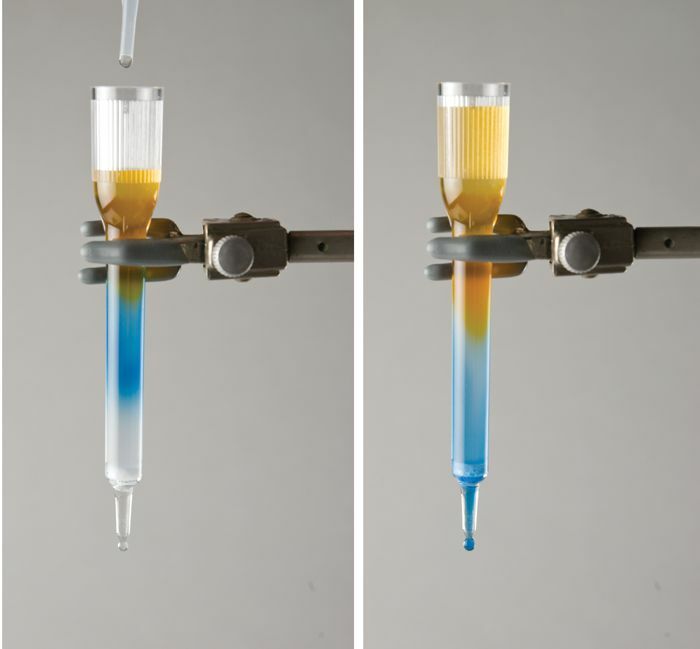 Introduce chromatography by separating dyes on the basis of size and shape. Introduce chromatographic separation to your class and show them how dyes of different colors separate based on their size and shape. 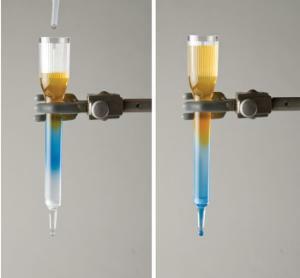 This experiment contains materials for dye separation which include dye sample, elution buffer and plastic disposables. Columns may be rinsed and reused. Ordering information: Requires 50 or 100 ml beaker or test tube, ring stand with clamps, distilled water. Delivery information: Kit includes: instructions, sample mixture, chromatography columns, dry matrix, elution buffer, transfer pipets, micro test tubes.